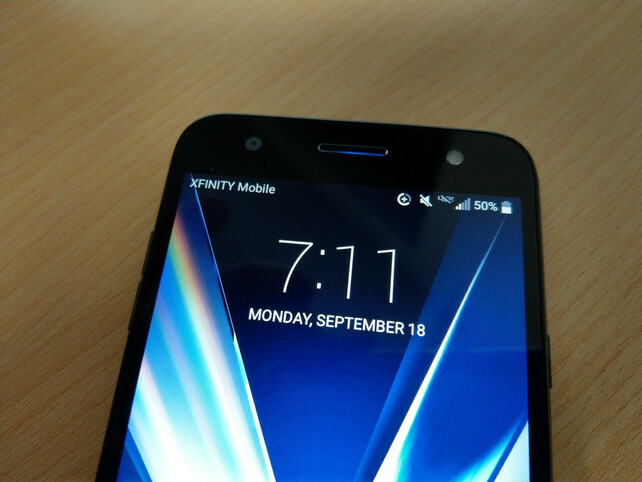 When Xfinity Mobile burst onto the scene earlier this summer, the only ‘low cost’ solution they had for phones was the LG X Charge, which listed at $180 outright or $7.50 per month. Other than that, the devices would set users back anywhere from $15 to $40 a month depending on the configuration and style that they chose. For the budget conscious consumer, even the $7.50 per month range is a bit high, but when you couple that with a $5-15 a month bill, you’re coming out quite a bit ahead, if the X Charge works well. 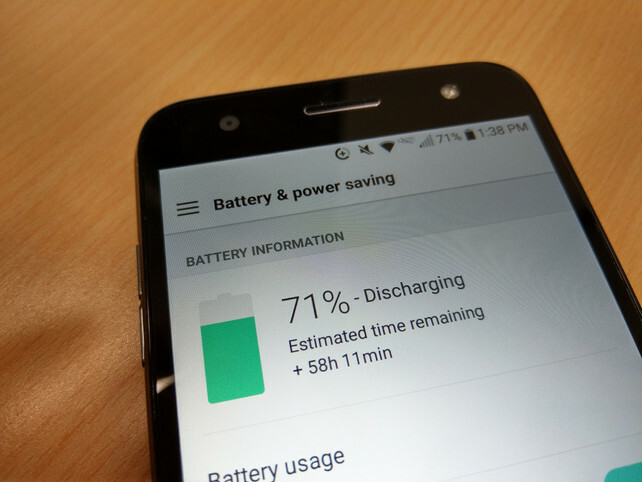 Out of the box, the X Charge feels like a quality device. No, it doesn’t have the premium build of the latest Samsung or Apple device, but it’s a solid feeling phone that is reminiscent of those premium devices from just a few years back. The solid frame is met with an non-removable plastic back and a big slab of Gorilla Glass on the front. There is no finger print sensor or camera hump, just a nice clean look all around the phone. On the right, you will find the raised power button and on the left, the volume rocker and SIM/Memory Card tray. The bottom of the device features a 3.5mm headphone jack, microphone and a micro USB charging port. The only feature on the top of the phone is another microphone, presumably for noise cancellation and possibly video recording. Taking a peek at the rear of the device, users will find a very bland, but not boring layout. At the top of the phone, the camera is center mounted with a flash to the left of the lens cover. This will place the flash at the top of the camera when using it in landscape mode. 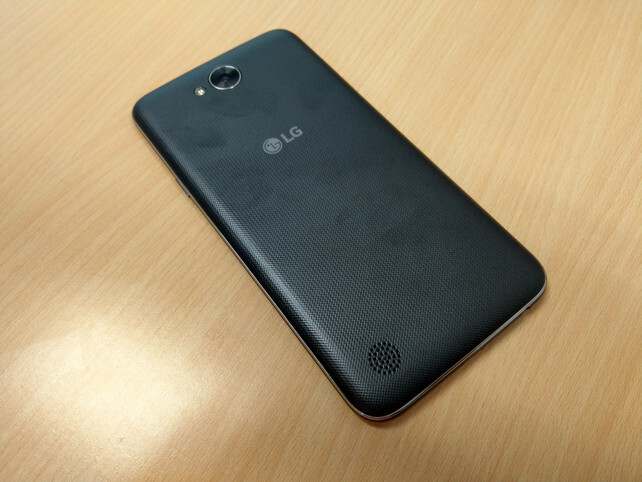 The LG logo is screen printed just below that with the single firing speaker at the bottom of the rear panel. The back also features a slight texture to it, which helps keep the device from being to slippery or feeling fragile. Moving around to the front of the X Charge reveals one of the plainest devices in the history of all phones. 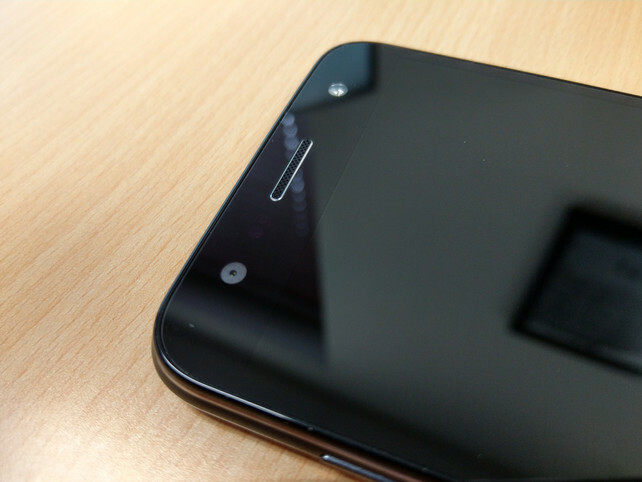 The LG logo is found below the screen area, and the camera, earpiece and flash are located above it. 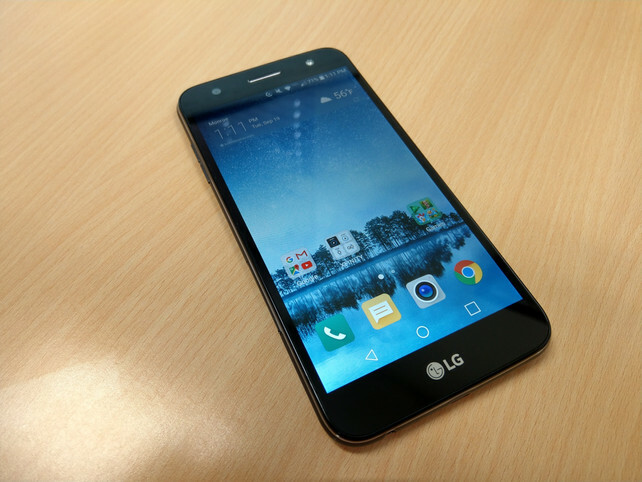 The screen itself is a more than adequate 5.5″ HD display that from pretty dim to extra bright if needed. I particularly like the lower settings for nighttime or dark room usage. Many flagships take the brightness settings to the extreme for outdoor visibility, but forget that they can be overbearing in darker settings. The 1280×720 resolution is also more than usable in just about every scenario and keeps the load on the processor and battery at a minimum. Speaking of batteries, this is one area that the X Charge really shines. With a 4500 mAh battery on board, the X Charge easily makes it through the day with plenty of allowances for screen on time. It also has Android 7.0 on board out of the box, which also aids the power consumption of the phone. The lower end Qualcomm Snapdragon 425 is also a very low consumer of battery, which just extends the life of the X Charge even further without sacrificing too much in performance. During daily tasks, the X Charge doesn’t stutter or strain much at all, and even under some lighter games, the Adreno 308 chipset works just fine. When you toss some heavier lifting at it, like Asphalt Street Storm, you will notice some lag and jumpiness to the games. The Xfinity version of the X Charge features 2 GB of RAM (1.8 GB of actual memory) and 16 GB of user storage with what appears to be 9.43 GB available for user data. This is a bit slim for heavier users, but you can supplement your device with a Micro SD card for storing photos and media on to make the most of that limitation. So far, the X Charge is a pretty impressive looking package for under $200, but the good news pretty much ends as we approach the camera. 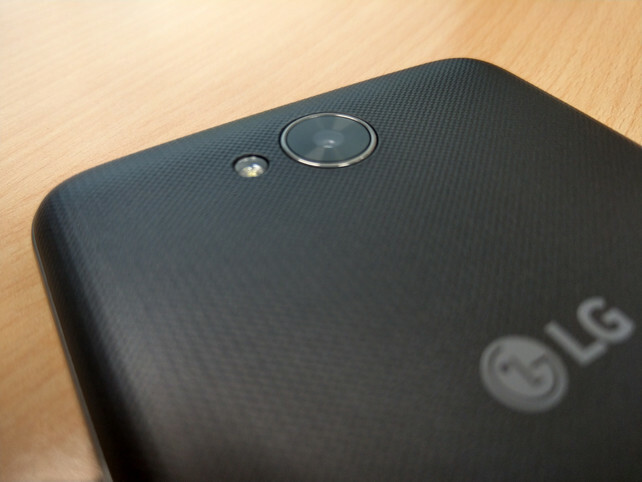 The 13MP rear shooter leaves quite a bit to be desired in image quality. Shots that look decent enough on screen tend to get soft and pixelate badly when blown up to any magnification level. The hopefulness that it was more of a lower light problem was dashed when even daytime shots turned out poorly at best. That said, if you are Instagramming your dinner or taking some touristy snapshots around town, the X Charge will do just fine, just don’t expect to keep up with the latest and greatest devices in any way, shape or form. The 5MP shooter around the front of the X Charge is not much better than the main shooter, but it is better. Between the facial capture mode and the enhancement settings, the front camera managed to take good selfies in decent lighting. We were impressed to see a front facing flash being featured, but our excitement was quickly destroyed when we found that it was an “always on” flashlight style of light, rather than a true flash. Even still, the front camera selfies are well above the quality we expected, especially after seeing the main camera’s images. 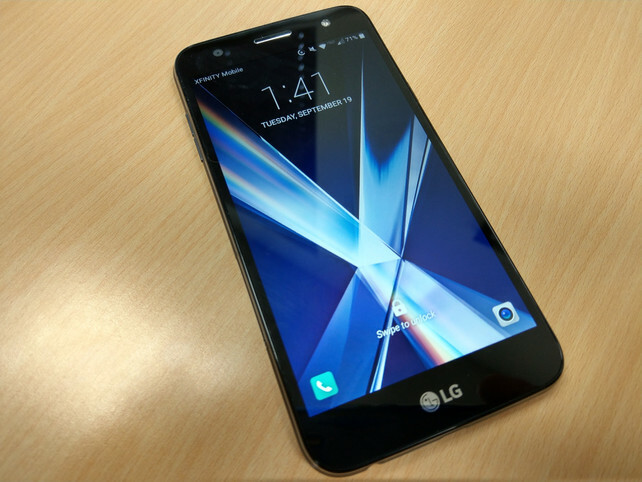 To sum up the LG X Charge from Xfinity Mobile a user will need to take stock on what’s important to them. First off, if this is a replacement to a primary phone, don’t expect to get iPhone 7 performance from it and don’t count on impressing your friends like the Galaxy S7 would. It’s not that type of phone and it’s not priced like one either. For $180 outright or $7.50 a month, it’s not about the phone at all, it’s more about how much you could save with the service that is linked to the phone. Xfinity does not charge a line access fee and, if you’re a light data user, you can actually land an unlimited talk, text and Wi-Fi hotspot plan for practically nothing out of pocket. The X Charge is an almost perfect device for someone looking to ditch the ‘big cellular’ companies and find a better way. It’s lower cost option to get started with that better way. While the luster of the device may fade a bit quicker than the latest Galaxy or iPhone device, the facts are simple – for under $200 you can get yourself started on saving $50-100 a month on service. While the X Charge isn’t the “best” device on the planet today, it is more than capable of handling your communications and social media needs and is more than worthy of your budget conscious consideration as your next device. More information on Xfinity Mobile service is available online at http://www.xfinitymobile.com. Previous Post Do Not Spend $1000 On A Phone – Ever!